*Note: The one enclosed in () are comments from the translator. There were so many pics of yuchun oppa from the entrance. I took so many pics and waited for 2 hours to get in to the auditorium. Then after video session., special guest for this event appeard. She really made us happy with her story. Especially about her dream . Moreover, she told us these stories. Harang did come to this party too. She told us about harang. She said yoochun is still not recover from allergy and there were times he wore shades on stage because of allergic symptom. At first she aked him” U got allergy how can u keep one?” and he said he was alright. But after that he was down with that so she told him to just take harang away but yoochun said “how can he do that to one member of our family”. Untill now she has to let Harang stays at veranda because he can’t come inside(poor harang). Yoochun calls himself daddy and take cares of dog-do and sometimes curses at him too. Harang is really smart. When he plays with yoochun and suddenly his mom appears( she is the one feeding him), harang will come to his mom. Yoochun’s so upset so she would avoid poping out when yoochun plays with harang. She talked about his cute behavior. When he is back from drinking, he does back-hug her in the kitchen and he sits at wine bar with his legs swinging up and down talking to her until she finishes her kitchen works. “there’s no son being like this?” she said to him and he just smile at her. When she changed her hair a bit and no one even noticed, he would be the one to know and he would ask ” u do sth with ur hair, right? its beautiful. Where did u do it? and that was so cute of him. She explained that when she looks at yoochun and yoohwan, yoochun is so feminine ,cute and scared of lot of things while yoohwan is rather dignified and more manly. Food he likes to eat is native Korean food (of course kimchi~) and because of his small stomach, he has to eat just a little each time but so many times a day and that is so troublesome. Harang was here today too and we took picture with him too. His mom blew the candle on birthday cake for us. And it was the end for part 1 and we had a break and started part2. They opened yoqchun’s video and did some activities together. Moreover, Yoochun sent us message from japan and we were sooo touching. It was a very great event. We had lots of fun. It’s so nice and sweet for Yoochun’s mom to attend this event and to willingly share some stories about Yoochun to his fans. I’d have to say that Chun is really a good son. He loves and values his family so much that he’s willing to do anything to make them happy. I was touched by what his mom said towards the end where she apologized to Yoochun for having to make him grow faster than he should be. I can sense the regret and at the same time the gratefulness of his mom for having a son like him through those words. I’m definitely sure that if Chun was there and heard everything, he would have broke down in tears already. It’s also so sweet of him to give his fans a message all the way from Japan. Yoochun may have been caught in a bad mood in front of his fans for a couple of times already and was criticized by his actions but I know that he really cares for his fans and appreciates their efforts so much. He really is a good son. AWWW he’s scared of bugs! He’s really nice to keep Harang eventhough he gets allergies. @ SilentPixie: Yeah, I never thought Yoochun was like this until I read this one. Thanks for sharing this. 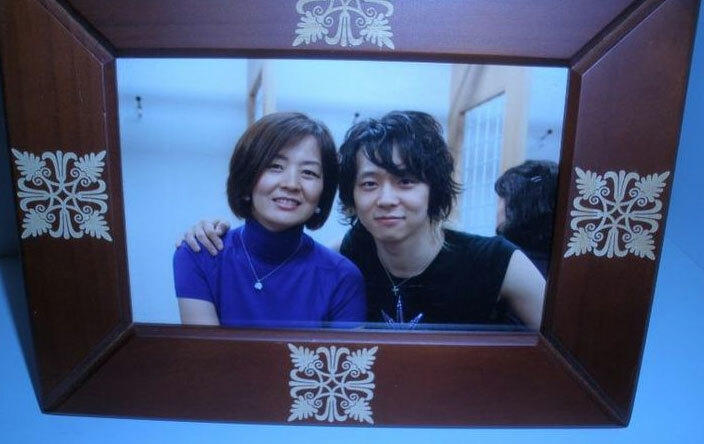 I’m really touched by Yoochun’s mom. It’s great to see Yoochun being such a filial and sweet son. @ tin4tvxq: I’m sorry but I don’t have an idea what Yoochun means. yoochunnie! no one can replace you here in our hearts! idol!